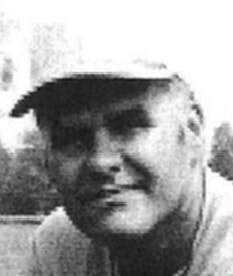 Bill Offenbecher was a standout athlete in three sports at AHS. A 1955 graduate, he is one of three Alliance quarterbacks to earn a full scholarship to a Big Ten school in the 1950’s. He played and graduated from the University of Illinois. At Alliance, he earned three varsity letters in football and baseball and two in basketball. During his high school career, Offenbecher was a quarterback/linebacker. He served as Len Dawson’s backup in the 1952 season. During his senior season, Offenbecher led the Aviators to a 9-1 record, including a 19-7 win over Massillon. At the University of Illinois, he earned his BS in Education and Biology. Bill completed his Masters Degree in Secondary Guidance at Westminster College and earned a Secondary Principal Certification from Youngstown State along with several certification renewals. His coaching resume is impressive. It includes head coaching jobs at West Branch, Springfield Local, East Palestine and Sebring. While an assistant coach at Massillon, Coach Offenbecher mentored three quarterbacks to All-Ohio honors and one received All-America recognition. He followed with head coaching duties at Fairless and Springfield. Bill closed his coaching career as an assistant at Alliance and Sebring. Bill and his wife, Loretta, reside in Alliance. They have four sons, Bob, Brent, Brad and BJ.